Tying a Let The Fur Fly from Tightline Productions on Vimeo. This is a great tying video—produced by Tightline Productions—which shows how to tie an interesting nymph using layers of rabbit fur for the abdomen to give the pattern the same wiggly motion as the natural. The video begins with underwater footage of the nymphs you’re trying to. . .
Tom takes the mystery out of packing for your next trip telling you what you need, what you don’t and what you REALLY shouldn’t forget to bring. Did he miss anything? Was this helpful? What would you like to hear in the future? Let us know in the comments. In this episode, Tom is joined by Peter Kutzer of the Orvis Fly Fishing School to revisit a subject that we have covered in the past, but is still requested: common casting mistakes. We’ve all made them, in this podcast learn how to identify and fix them. Tom and Pete also discuss what soft hackle is and when to use it, whether or not the color of your bead-head matters on bead-head flie, and when you should replace your leader. Did they miss anything? Was this helpful? What would you like to hear in the future? Let us know in the comments by clicking the READ MORE link, below. 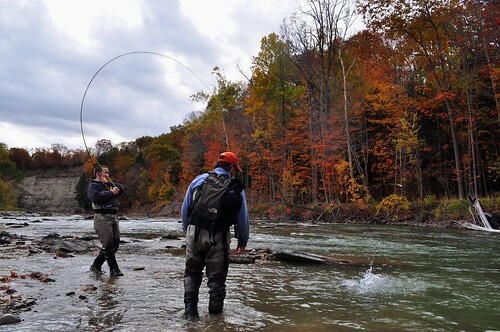 Battling a Great Lakes steelhead against a backdrop of autumn leaves. Now that the snow is flying here in Vermont, as well as in many other parts of the country, even the chilly days of fall seem like the Good Ol’ Days. 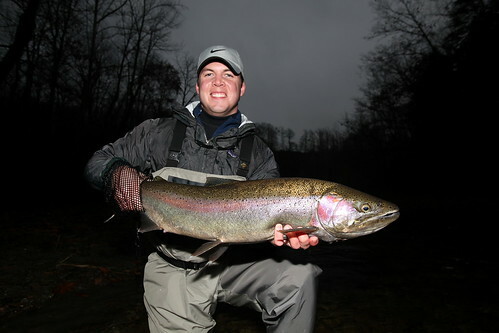 Jim Lampros, the fishing manager of the Orvis Cleveland store, sent us this musing on the first frost of the year: . . .
Rio Piedra hunters benefit from thousands of acres of managed habitat. Bill Atchison is justifiably proud of Rio Piedra. 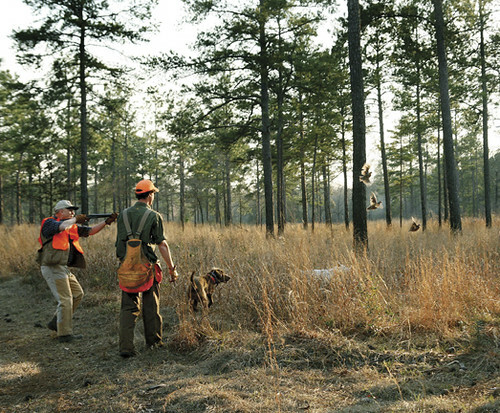 Year after year it wins awards—including the Orvis Wingshooting Lodge of the Year award an unprecedented three times. That’s purely based on customer feedback. In 2009 it won the Sporting Classics Hunting Lodge of the Year. His secret? . . .
Tom covers a lot of material in this podcast. In the “Fly Box” section, he compares and contrasts vests vs chest packs vs waist packs vs sling packs, he covers how best to keep your flies floating (and reveals his secret) and then answers a question about realistic vs impressionistic flies.